Recording your personal achievements and movement towards personal development goals may seem unnecessary. You might think that you will not forget, and therefore there is no need to make a record. But having a record of what you have done is important for several reasons. This pages explains why recording your personal achievements is helpful, particularly in job applications, and suggests how you might go about this vital process. The main reason for keeping a record of your achievements is to be able to demonstrate them to a potential employer. They are, effectively, proof that you can manage the requirements of a new job. Many job applications and interview processes nowadays are competence-based. This means that you will probably be asked to give examples of times when you have used and demonstrated the skills required for the job. A record of your personal achievements is vital in doing so. Some personal development and achievements will come with formal certificates - a degree, for example, or other qualification. Any certificates from courses should always be kept safely somewhere where you will be able to find them at short notice, because you may need to produce them for an employer. Other records may be written by others, but more informal - the letter from your line manager applauding the way that you coped in a crisis, perhaps, or a piece of 360° feedback from someone about your management skills. These are valuable evidence of your ability or skills, and should also be kept securely. There is a third category of records: your own reflections on your achievements - what you did, what you achieved, and what you learned from the experience. These records are vital to give you a set of examples of how you have demonstrated your abilities under different circumstances. This page focuses mainly on this third type, but the others are equally important. Reviewing your achievements, and recording them, is also a way to check your progress against your goals. While your personal goals are just that—personal—it can nonetheless be interesting to look back and see if they have changed. If you never record your goals and achievements, you have no way of seeing how you have grown over time. If you are employed, your employer will probably have an annual employee appraisal process in place. Done well, this type of process enables you to review your achievements over the year, with input from your line manager, and reflect on what you have achieved, what you have learned, and what you would do differently in future. The challenge is that most employee appraisal processes are not used effectively by either those being appraised or their line managers. They tend to be ‘tick-box’ exercises to be rushed through as fast as possible. 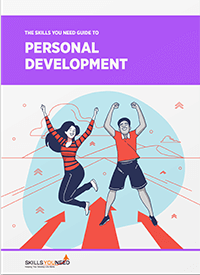 It is therefore worth taking the time to reflect at least once a year (and preferably slightly more often) on your personal development, and progress towards your goals. Review your goals, and make an honest assessment of your progress towards them. If you have achieved them easily, ask yourself if you aimed too low. If you have not achieved them, is that because you did not really want to do so, or you aimed too high, or your goals have changed? Try writing down how you feel about your goals now, and if necessary, change them to reflect where you really want to be and do. Even if you have not reached your goals, what have you managed to achieve? Be honest about how you feel about what you have done well, and give yourself permission to be pleased and to celebrate. Think about what you have done over the period, and what you would do the same and/or differently if you had to repeat those tasks. Also consider what you have learned about yourself, for example, your priorities or goals, and your working preferences. You should, at this stage, make a note of the outcome of your reflection and review. This is particularly helpful if you are going through an appraisal process, but will also help you to keep an overall record of your achievements. There is more about this type of reflection process in our page on Reflective Practice. As well as an annual review, it is a good idea to keep a record of your main achievements: the things of which you are particularly proud, because you feel that you did them very well, or they were especially hard to do, and other people might not have managed. These will form the basis of any job application, so it is a good idea to take time over this element of your record. The box below suggests one way in which you might do this. Remember that potential employers will be most interested in what you can achieve for them, so what you did, its effects and the outcomes are the most important elements. You may also find it helpful to briefly list the skills that you think you used for this achievement. When you have a reasonable list of achievements, together with the skills you used, you may want to take this a step further, and start to list your skills and personal qualities, together with evidence (usually your achievements, but also your qualifications). Evidence that you possess that skill. This might include, for example, an appraisal report or 360° feedback, or a letter from a colleague, as well as your own achievements. You will want to update this list on a regular basis: at least yearly, although more often if you are going through a particularly rapid period of development, for example, because you are studying. It is therefore a good idea to keep it electronically, as this makes it easier to add new examples, and move examples to other skills if they now seem more appropriate there. As you develop your skills and experience, so you may wish to separate your skills into more nuanced areas. For example, instead of simply talking about ‘communication skills’, you may want to have separate examples for written and oral communication skills, or even different types of writing, or perhaps separate out your presentation skills. A potential employer will always want to see details of your education and training (including continuing professional development and similar courses) and your employment history. To be able to provide this, it is a good idea to develop a good CV and keep it up to date. You should always review it when you are actively job-hunting, but it is also a good idea to review it at least once a year, and check that your description of your current job, and your qualifications, are up to date. There is more about how to do this in our page on Writing A CV or résumé. Elephants may never forget, but most of us are not blessed with that kind of memory. Keeping a record of your achievements is a way to ensure that you will be able to remember examples of when you used particular skills. Reviewing your achievements is also helpful if you are finding life a bit tough. It reminds you of what you have achieved, and what you can do again, and may just give you the impetus to go out and get that new job.